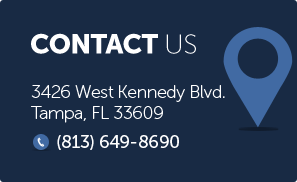 If you have been arrested in the Tampa area for the crime of DUI in violation of Florida Statute 316.193 due to a stop at a DUI Roadblock or DUI Checkpoint, the lawyers of Finebloom, Haenel & Higgins can help. Our attorneys have successfully challenged DUI Checkpoints and the resulting arrests. What is a DUI Checkpoint? A checkpoint is a method used by law enforcement officers to try to find impaired drivers. How the procedure works is that law enforcement will block off a road forcing vehicles to pass through in a certain manner. Usually this means all lanes are diverted into a single file line that flows in between several police vehicles. The officers will then stop every car or every “nth” car to perform a routine search. The search usually involves asking for license and registration of the vehicle. If during this encounter the officer feels they have grounds to continue the search and expand it to a Dui investigation they will do so. When are DUI checkpoints performed? DUI checkpoints are usually performed on holidays such as New Years, Super Bowl Sunday, St. Patrick’s Day or Fourth of July. These are holidays associated with high alcohol consumption. However, a roadblocks or checkpoints can be set up at any time. How will I know if there is a checkpoint? In Florida, law enforcement will provide advanced warning of any checkpoint site. The agency will announce when and where the checkpoint will be located. If you do not hear about the checkpoint, they are easily recognizable. There will be lights, cones (and probably a lit sign informing you that there is a roadblock ahead). You will also notice a long line of cars as the roadblock will slow the flow of traffic. Yes. The Supreme Court has ruled that DUI Roadblocks or Checkpoints are legal. However, there are certain guidelines the officers must follow to ensure that your 4th Amendment rights are not violated. What happens if the officers don’t follow those guidelines? If the officers set up a roadblock or checkpoint that does not meet the guidelines set out in the Supreme Court decision it can greatly affect the outcome of your case. In some cases it may result in a dismissal. How will I know if the officers followed protocol at the checkpoint? Only an experienced attorney can fully investigate and inform you if the checkpoint you encountered was proper, and if it was not, file the proper motions in your case. If you know there is a roadblock or checkpoint at a certain location, try to avoid the location. If you can’t avoid the checkpoint, have your license and registration ready to give immediately to the officer. Do not volunteer information to the officer. Politely decline to answer questions about where you are coming from or where you are going. Do not give the officer permission to search the car. Decline politely and inform the officer that you would like to be on your way unless they have reason to detain you further. If you are arrested ask to speak with an attorney immediately!! DUI Checkpoints can create many complicated issues in your DUI case. At the offices of Finebloom, Haenel & Higgins we have experience in challenging arrests that stem from checkpoint searches. If you have been arrested as the result of a checkpoint stop, call Finebloom, Haenel & Higgins today at 813-200-4421. Our attorneys are available 24/7 to consult with you about your case. Let us help you challenge the stop and fight your case! !